TLV offers compelling solutions which we develop and implement in close cooperation with our customers. 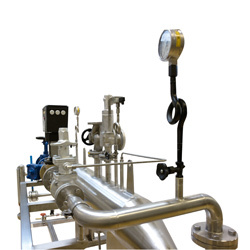 We gladly accept any challenges presented by your needs, whether for a single steam application or for the entire pressure and condensate network. 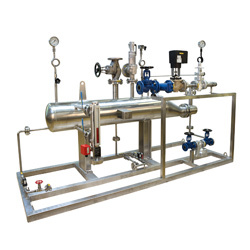 Clean steam generators are used to produce pure and clean steam, free of any harmful substances and impurities. 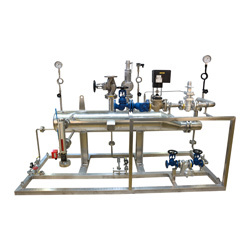 Applications for pure and clean steam are found in the food, cosmetic, and pharmaceutical industries, as well as for sterilisation and any direct steam heating processes where the demands on steam quality are very high. 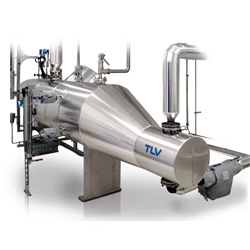 TLV clean steam generators meet requirements for crevice-free design and require minimal maintenance while maximising steam production capability. They are manufactured according to Good Manufacturing Practices (GMP), satisfying the highest quality standards and requirements for your production.